Montreal December 19, 2007 – The Montreal Children’s Hospital wishes you all a happy holiday season and reminds parents and family members to be mindful of their children. Last year during the two week holiday period, Many children were treated for injuries in the MCH ER. More than half of these injuries occurred at home and were preventable. Injuries such as head traumas and broken bones from falls, choking on small toys, and poisonings can be avoided with a little extra supervision and planning. If you are worried about the potential lead content of the paint used on various toys or other product recalls, visit the Consumer Product Safety website for more information (www.healthcanada.gc.ca). You should take recalled toys away from your children. Remember to choose toys appropriate to your child’s age and stage of development. Young children can easily swallow small parts or batteries. Remember pets are not toys; dog bites are very common during the holidays. Keep a close watch on small children when they interact with dogs or other pets. Falls from heights (countertops, chairs, etc.) or down stairs are a common cause of childhood injury. Do not leave babies and young children unattended on tables or countertops, even for a second. 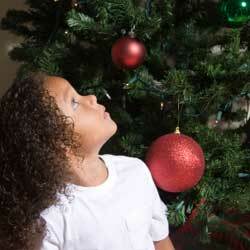 Make sure fragile Christmas tree or other decorations are out of reach of small, curious hands. If you visit friends and relatives who do not have young children and therefore have not child-proofed their homes, make sure that pills and cleaning supplies are out of reach. Remember poinsettia plants are poisonous; keep them out of reach of small children. The Quebec Poison Control Centre number is 1-800-463-5060. Do not leave lit candles unattended and keep them well out of reach of children. Supervise your children when they are lighting candles. Keep hot beverages out of reach of your children. Debbie Friedman, MCH Trauma Director, encourages kids and teens to be active and have fun but at the same time the goal is to make sure your children remain trauma free and not end a great day of winter fun in the emergency department of a trauma centre. Wear standardized and well-fitting protective headgear and other sport-specific equipment. Check the surface of the hill for obstacles, and ensure it is designated for the activity. Make sure to receive proper training and instructions about the use of equipment. Carlo Galli, Injury Prevention Program Trauma Coordinator, reminds everyone that road safety is especially important at this time of year when many people are travelling and with the large amount of snow we have had. Make sure car seats and boosters meet approved standards, are properly installed and used as per age restriction. Children under the age of 13 should sit in the backseat to avoid injury from deployment of an air bag. Adhere to traffic lights and speed limits. Do not leave a passenger in a running car. These tips are available in a newly published MCH brochure called Holiday Safety. Copies can be ordered by calling Terry Seguin at 514-412-4307. On behalf of everyone at The Children’s please have a happy and safe holiday season and a healthy New Year.